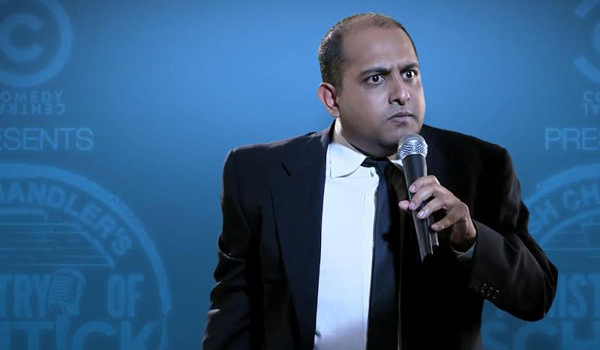 Mumbai, with its contrasts and quirks, offers rich fodder for stand-up comedians. Whether it’s the baffling real estate or Bollywood, nothing is off-limits for stand-up comedian, playwright and screenwriter Anuvab Pal, who makes sense of Mumbai with his infectious humour. Anuvab has written the comedy Loins of Punjab and the mockumentary The President is Coming. As a columnist and author, his writing touches on all that is unique about the city of Mumbai. Anuvab Pal is a quintessential Bandra boy, a suburb he loves. Home to film stars, designer boutiques, charming cafes, street shopping and lively restaurants, Bandra has become a popular place to set up shop in the city. Despite the new high-rises, Anuvab finds plenty of quaint pockets here worth “loitering about in”. Start off at Mount Mary Church and see Bollywood superstar Shah Rukh Khan’s heritage bungalow, Mannat. Enjoy the breezy promenade at Bandstand before walking past Mehboob Studios, where many cult Bollywood films have been made. Visit St Peter’s Church and wander into the bylanes off Hill Road. 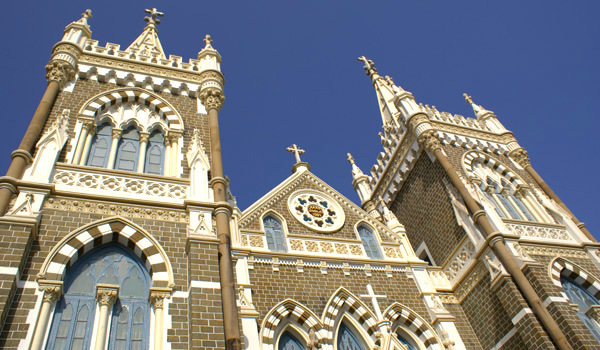 Bandra holds the record for the most Roman Catholic churches in the world, each with their own separate parish. Tucked away in this part of town is Ranwarpakhadi (hamlet), a heritage precinct with quaint bungalows that retain a strong Portuguese influence. Veronica Road and Chapel Road are full of vibrant street art, so remember to bring your camera. Stumble upon one of Anuvab’s favourite eateries, Kakori House (Dunhill Apartments, 26, Waroda House, Bandra West), serving delicious Awadhi cuisine. Try the richly textured creamy mutton galouti kebab. The mutton haleem – a tricky dish to prepare – has a beautiful balance of meat and spices. Walk past the Portuguese facade of St Andrew’s Church and reach another Anuvab Pal favourite, Pali Village Cafe on Pali Naka (Pali Naka, B R Ambedkar Road, Bandra West). This quirky space attracts Mumbai’s stylish set with its distressed décor, roof terrace, old photographs and rustic flair. Bandra is particular popular with expats and local creatives for its central location and seaside setting. Head north, and it’s Bollywood Central. “The restaurants, cafes and bars are full of movie people. People probably think poverty is the main problem with Indian cities. Look at the Bandra to Andheri movie stretch and the opposite seems true,” observes Anuvab Pal. Whether it’s the swanky Novotel bar overlooking Juhu beach, the cafes near PVR cinema in Juhu, or the big movie studios in Andheri, films here are designed to offer some sort of release. Escape from the movie madness at Prithvi Theatre in Juhu. One of Anuvab’s favourite theatres, the intimate venue was opened by actor Shashi Kapoor and his late wife Jennifer Kendal in 1978 to honour the legacy of his grandfather Prithviraj Kapoor. Enjoy the Irish coffee at Prithvi Café before catching a performance. Head south of Bandra to the new creative hub in Lower Parel. 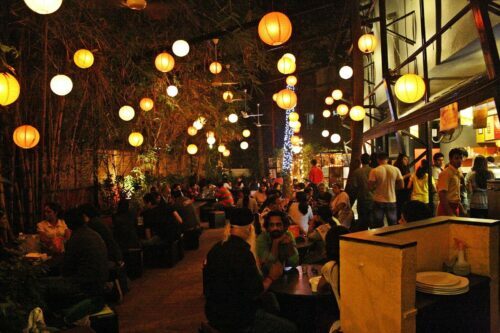 The upscale Blue Frog (New Mahalaxmi Silk Mills Compound, Tulsi Pipe Road, Lower Parel) hosts live music while Cafe Zoe in Mathuradas Mills Compound (Todi Mill, Senapati Bapat Marg, Lower Parel) is another one of Anuvab’s favourites for its inviting high ceilings and raw industrial decor. It’s also near the shopping district of Phoenix Mills and Palladium. 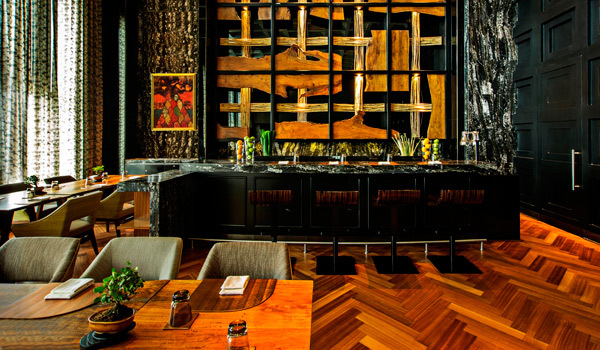 The luxury Palladium Hotel‘s high-end Japanese restaurant, Yuuka, has become something of a celebrity haunt. 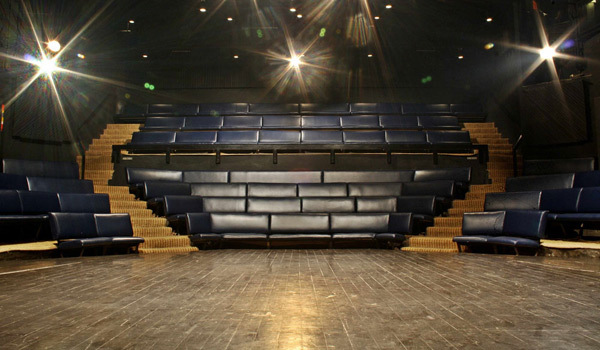 In Palladium, you’ll also find Canvas, a fantastic venue for live comedy. Anuvab also enjoys performing at Godrej Theatre at NCPA in South Mumbai. With a seafront setting at Nariman Point, the NCPA is Mumbai’s premier cultural institution. For art lovers, Anuvab recommends the galleries around Colaba. 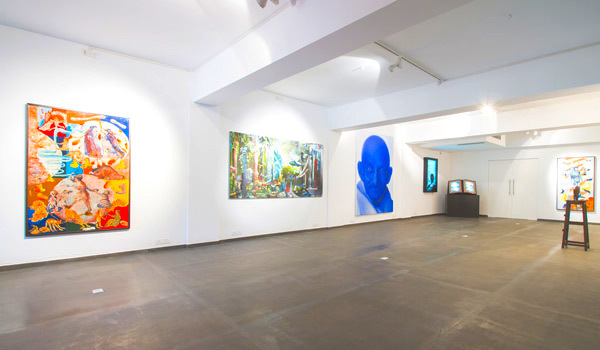 Hidden away in the bylanes are galleries like the eclectic Volte, Chemould Prescott (one of the oldest and most prestigious galleries in Mumbai), the minimalist Project 88 and the cutting-edge Gallery Maskara. With Anuvab Pal’s guided tour of Mumbai, you’ll soon discover some of the most exciting, creative spaces in the city.